The Terms of the Trump University litigation settlement have been finalized. …the Court ruled that all persons who purchased “Trump University” Live Events within the United States since 2007 and have not received a full refund are Class Members in the Cohen (Nationwide) Action. Purchasers in the states of California, Florida, and New York who have not received full refunds may be Class Members in the Cohen (Nationwide) Action as well as the Low (California/Florida/New York) Action. In addition, there are senior citizen “subclasses” in California (over the age of 65) and Florida (over the age of 60) which are seeking the recovery of additional money or the imposition of fines to be paid to the states of California or Florida under laws intended to prevent financial abuse of elders. This excludes (and I hope I am wrong) Canadians who attended programs in 8 Canadian cities. This is likely in excess of 550 people. Trump University knows the exact figure, this is an estimate derived from the documents on the http://www.98percentapproval.com/ web site. They don’t even get a lump of coal! Here are the documents from the December 20, 2016 hearing. The amount owing is $151,954.87. The property will be sold March 7 at 11:00 AM of the amount owing plus all costs is not paid. 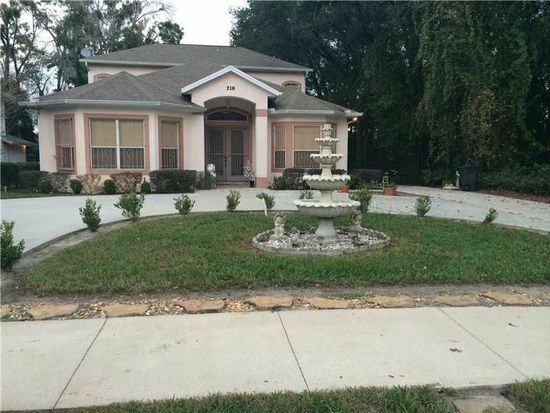 It appears that the foreclosure proceeding in regard to Marco Kozlowski’s home at 710 Thompson in Maitland, Florida is coming to a possible conclusion. Details and court documents are on the Orange County Clerk of Courts site – see https://myeclerk.myorangeclerk.com/ Just search in the civil court records for Kozlowski’s name, and you will find the case. The documents can be downloaded. For the last two weeks full page ads for the Nick Vertucci “Fortunes in Flipping” real estate seminar have been running in the Toronto edition of 24 Hours and also at least once in the Toronto Sun (September 24 page 47). These are pretty much straight out of the playbook for “Trump University” style seminars. The free “VIP TECH Packages” are very cheap products – the watch (if it is like what is usually handed out) is almost certainly not a “GPS” watch. The USB drive contains the audio of a couple of talks by Mr. Vertucci. It is not disclosed where the $20 gift card can be spent. Examples of the recent 24 Hours ads are below. Bankruptcy records for Michael J. Syme of Utah show that in 2003 he owed debts to a long list of creditors including the U.S. International Revenue Service and Utah Division of Consumer Protection. This true objective of course is not just to get folks to go to the free hotel event. It is not to just get registrants for the offered 3 day program. The sting, like the other seminar presenters in this game, is enrollment in a very expense ongoing program that may be of no or little value.